Air Canada has been testing Wi-Fi on select flights between Toronto, Montreal and Los Angeles with GoGo for a number of months now. According to a press release, GoGo’s first phase is now live and reportedly tops download speeds of 70 Mbps. 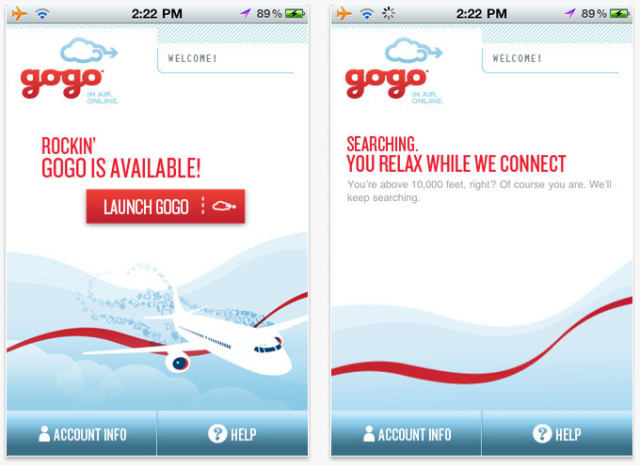 Gogo’s ATG Canadian network offers in-flight internet between the U.S. and Canada on its partner airlines: American Airlines, Air Canada, AirTran Airways, Alaska Airlines, Delta Air Lines, United Airlines, US Airways and Virgin America. For now, Air Canada shows WiFi available on all A319 planes and costs $9.95 USD for connectivity on your laptop or for $7.95 USD for handheld devices on one-way travel. However, Gogo shows alternative pricing starting at $14 USD for an all-day pass and rises to a $49.99 monthly pass for unlimited usage (available for smartphones, tablets and laptops).